Epicor delivers an entirely new approach to business software. We inspire businesses by offering choices and unprecedented flexibility. Epicor solutions free our customers from focusing on technology to focusing on what they do-their core, revenue-generating activities. Epicor understands that you, like manufacturers worldwide, must identify, consider and respond to a new set of challenges and variables each day. Some are due to the extended enterprise and globalization of manufacturing. Some are a result of internal inefficiencies that affect your ability to compete on dimensions such as cost, quality, or response time. Others arise out of the necessity to blend your business processes with those of your customers, suppliers, other plants, warehouses, and distribution channels. There is often no precedent for how to respond to new requirements and market onditions. Communication, collaboration, flexibility, agility, and innovation are the only constants. Epicor understands that as an aerospace and defense (A&D) manufacturer, you must identify, consider, and respond to a new set of challenges each day. Change in this industry is a given; managing the change with tools and services to distinguish your business from local and global competition is fundamental. 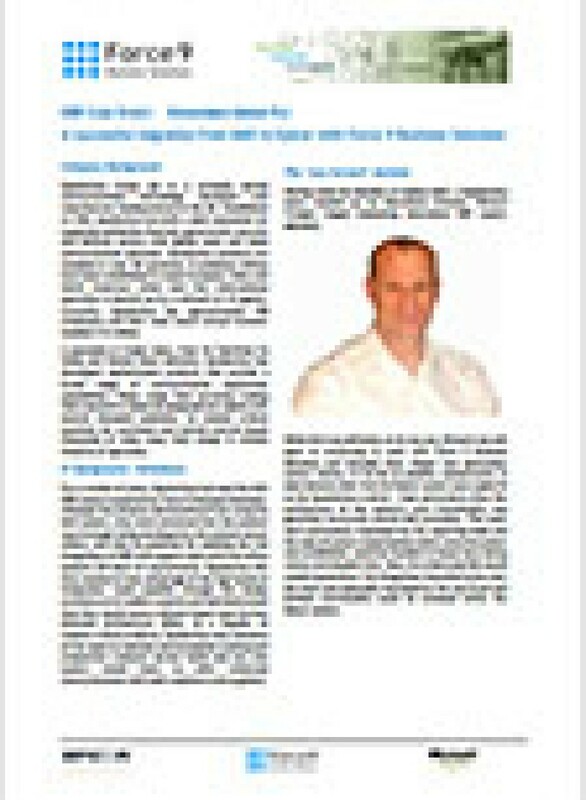 The pool of automotive suppliers continues to shrink as only those with the most flexible IT infrastructures can adapt to the increasing demands of automotive customers. The answer is Epicor for Automotive, our enterprise resource planning (ERP) solution built from the ground up for manufacturers using a 100% serviceoriented architecture (SOA) combined with a Microsoft® .NET™ user interface. Messaging is a key factor: messaging between factory sites, messaging between the business system and user screens, and messaging between the business system and trading partners. The electronics industry has never needed to move faster than today. With finished products typically having a life-cycle of six months or less, and competition coming from around the globe you need to optimize your planning, production, purchase, sales and after-sales processes to be leaner and more agile than your competitors. Whether you manufacture, maintain, build or install in support of the energy industry, or provide services to that industry, Epicor understands you must manage complex projects, control your processes, reduce costs, comply with regulations, and respond to a new set of challenges each day. Epicor provides the solutions and tools needed to adapt to change, meet and exceed customer expectations, and address market pressures that will distinguish your business from the competition. Fabricated Metals manufacturers facing increased global pressure are stressed to find new efficiencies. Price sensitivity, volatile raw material cost, shorter product lifecycles, and adoption of quality and value added services continue to erode already thin margins. In response, many manufacturers are expanding their traditional business and looking for new opportunities—some in new and unknown markets and others centered in business performance. Lean initiatives are driving many manufacturers to reengineer business processes from the plant floor to the top floor to the extended supply chain. An active member of the Fluid Power Distributors Association (FPDA), with Epicor executives holding seats on both the Statistics and Technology committees, Epicor Software Corporation is dedicated to serving the technology needs of the fluid power industry. Leading fluid power distributors, including Brenner Fiedler & Associates, Flowline Components, G.S. Hydraulics, Pneumatic Technology, DXP Enterprises and many others, trust Epicor solutions to manage their business efficiently. As an industrial machinery manufacturer you face unique challenges everyday. In addition to dealing with complex build plans and engineering requirements, you must also answer to your customer’s demands of increased quality, lower costs and faster delivery times. This atmosphere has pushed many manufacturers to implement Lean methodologies to help drive down costs and development times while increasing throughput and profitability, always keeping the end goal of greater customer satisfaction in mind. Epicor understands that businesses manufacturing and/or distributing medical devices face a unique set of challenges. Whether your business is built on the creation of a single successful device, or other manufacturers depend on you for parts or components in their end devices, or you procure and supply end medical devices directly; the drive for providing the latest innovative technologies alongside long product development cycles and complex traceability requirements inherently introduces risk. Epicor understands that some industries face more regulation than others. Most countries around the world have similar regulatory regimes in place that mandate a very high level of control for Pharmaceutical, Chemical and Allied industries. Whether you are a provider of raw materials, run a manufacturing plant, warehouse or wholesale the products, you know that you face the combined challenges of increased global competition and compliance costs. With increased global competition and the growth of the Internet, it’s a print buyer’s market. Customers have more choices than ever before—and they know it. And they are demanding better service; greater product flexibility; smaller, more frequent deliveries and higher product quality—all, of course—at a lower price. Epicor provides a unique combination of technology and business consulting that helps you implement lean business practices and the customer-centric approach demanded by the market. The Gartner Magic Quadrant is copyrighted June 27, 2012 Gartner, Inc., and is reused with permission. The Magic Quadrant is a graphical representation of a marketplace at and for a specific time period. It depicts Gartner’s analysis of how certain vendors measure against criteria for that marketplace, as defined by Gartner. Gartner does not endorse any vendor, product or service depicted in its research publications, and does not advise technology users to select only those vendors with the highest ratings. Gartner research publications consist of the opinions of Gartner’s research organization and should not be construed as statements of fact. Gartner disclaims all warranties, express or implied, with respect to this research, including any warranties of merchantability or fitness for a particular purpose. practice systems and procedures allow for efficiencies not available when using multiple systems. The role of Enterprise Resource Planning (ERP) systems in managing business processes has expanded significantly over the past decade from a focus on specific business areas such as manufacturing, procurement, or human resources, to broader use throughout the company. 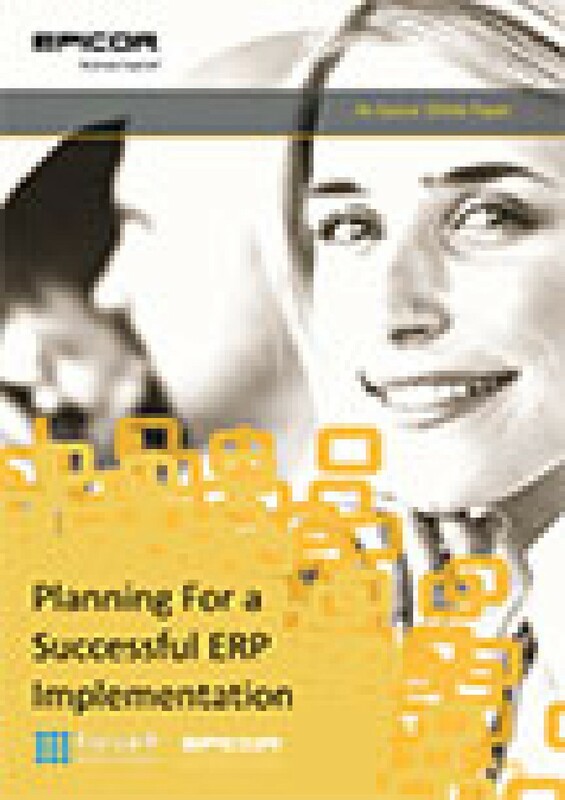 Although IT has traditionally been responsible for specifying and implementing technology within an organization, successful ERP implementations require involvement from stakeholders at all levels, from executives to end users. For many companies, the transition from existing traditional systems to a new ERP one can consume significant corporate resources, including time, expense, and risk to business operations. However, as we’ll explore below, this need not be the case.